We Invite You To Enjoy Your Second Country To The Maximum: We Offer Private Morocco Trips, Marrakech Shared Tours and Fes Desert Itineraries. 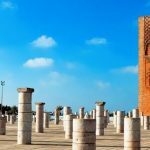 Custom tours & tailor-made holidays to Morocco based on your specific requirements, time schedule and travel budget. Tours Of Peace offer private or shared tours, cheap packages and luxury travel vacations at affordable prices. 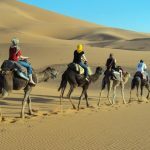 The best authentic Morocco tours starting from: Marrakech Tours,Fes Tours, Casablanca Trips, Ouarzazate Vacations, Agadir Holidays, Tanger towards Desert to experience a camel trek over the astonishing dunes of Erg Chebbi or Erg Chegaga. 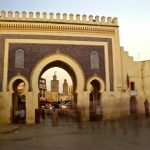 Explore the port city of Essaouira and tour the famous imperial cities of Morocco. For “Your Marrakech Vacation”: We provide one day trips and excursions in private cars with an English speaking driver/guide. 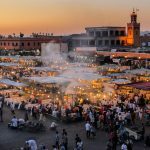 Visit the historic city of Marrakesh with an official or local Guide, the famous Jemaa El Fna square, the mosque of Koutoubia and much more of its attractions or Take a full day trip to: the Kasbahs of Telouat and Ait Benhaddou by crossing the Pass of Tizi N’tishka (2260m) or the famous Waterfalls of Ouzoud, Essaouira and High Atlas Mountains which include: Ourika Valley, Imlil, Oukaimden & Mountain of Toubkal. Beside our Marrakesh & Morocco Trips, you can find tours that starts from the medieval city of Fes. 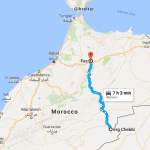 Day 1: Fes » Ifran » Azrou » Midelt » Er-Rachidia »Aoufous » Erfoud » Merzouga. The Real Sahara Desert invites you to enjoy the peace and quietness. There are many ways to reach it. 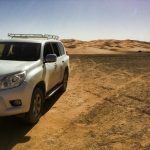 Use our Sahara 4×4 Excursion: We also provide clean & comfortable transportation from Erfoud city. 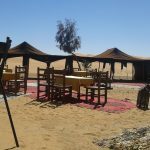 Travel in comfortable 4wd vehicles by off-road to tour around erg Chebbi and Merzouga, discover the small nomadic Berber villages and visit the ruins of Ksours of Sijilmasa with its oases which is known nowadays as Rissani. Watch The Magic That Awaits You! For those who like to wander the desert as nomads, ride a dromedary; dine under the stars and sleeping in a tent. Our excursions in dromedaries are ideal for them. Watch the sunset or sunrise! Accommodations in the Sahara: Allow yourself to spend the night in an Auberge; built on the edge of Erg chebbi dunes. Be like a nomad, sleep in a desert bivouac (a camp composed of traditional tents) in the middle of nowhere. Live an unforgettable and unique experience in the true Moroccan Sahara. 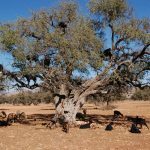 Let us help you Design Your Own Travel Plan; or you can select one of the Premier Deserts Safaris List ( Tours from Marrakech or Tours from Fes ). 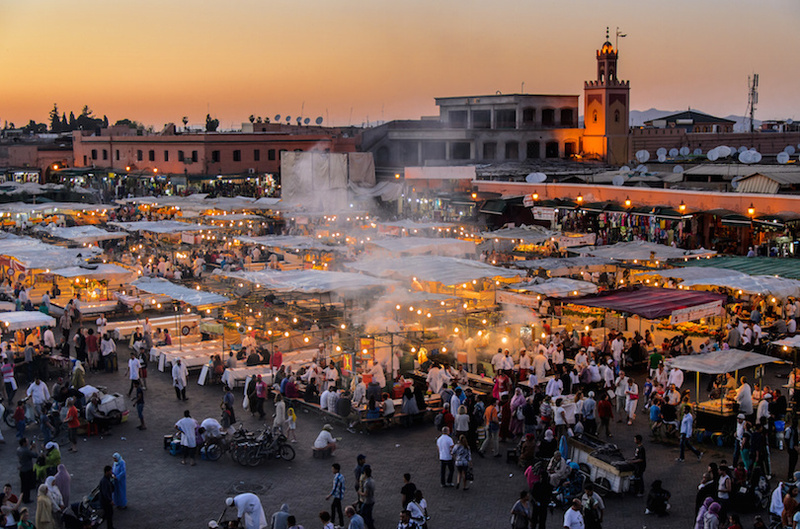 Find the best Morocco’s programs which will enable you to see more in a less time. 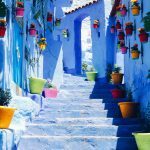 Inform us about Routes Of Morocco along with Cities and places that interests you and we will offer you the most amazing circuits & recommended paths according to your tastes and for free. Make Your Dream Vacation Come True! 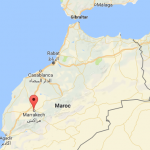 Our Local Moroccan Travel Company offers a wide range of services. We have an aim to ease your traveling. If you are on a tight/low budget; you can Join A Group Circuit or simply book a private one. We will invite other people to join YOU. You benefit from cost-reduction per person, meet new friends and have fun.